Self-image is created from projections of our own beliefs and the beliefs of others. Once we believe such projections, they become part of our identity, whether it is true or not. Self-image is a collection of our own experiences – how we interpret what others say, how they treat us, and what we tell ourselves. What goes into our self-image? The type of car we drive, the job we have, the clothes we wear, the relationships we choose, the lifestyle we lead…Our self-image is what we choose to present to the world. Think about what you chose to wear today, how you fixed your hair, whether your shoes are polished or not. Everything we present to the world comes from that genuine belief we have of ourselves, whether it is an accurate one or an idealized image we believe the world expects of us. A belief is anything we hold to be true, even if it isn’t! Beliefs are the pattern of thoughts. Most of our beliefs are formed in childhood, when we learn from our surroundings of family, friends, and school. During that time we look up to significant people such as parents, teachers, and other authority figures – we trust them, and therefore take what they say as the truth. We make it our truth, but is this really our truth? Over the years these beliefs get deeply rooted in us forming our attitudes and creating our life experiences. We often create these into core beliefs, things that we have a hard time changing. 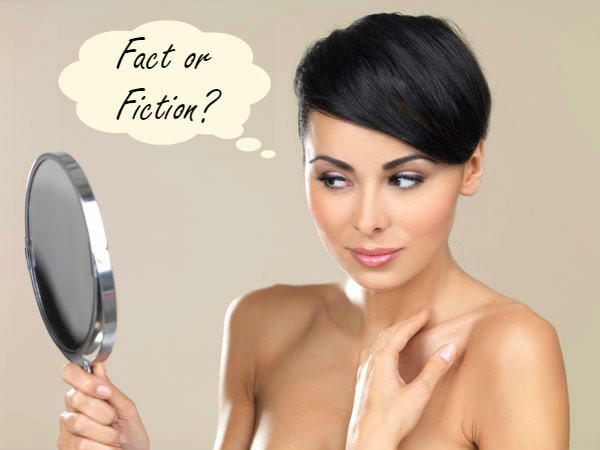 In order to assess our self-image, we may have to determine the truth of it. What if you wanted to be a dancer, but were told all your life you would never make a good dancer? Many people would live their entire lives believing themselves to be a horrible dancer. But what would happen if they challenged themselves? Took a class to just explore the possibility that that belief in their self-image might be incorrect? There are many people who became exactly what others told them they couldn’t because they challenged that long-held belief that others projected onto them. When we become aware of our limiting beliefs, we have the power to change them, and in the long run, change our very lives! Is your self-image accurate? Or is it holding you back?